(VEN) - Vietnam needs help from the European Union (EU) in harnessing its renewable energy potential to provide its people with clean power. This was one of the main messages conveyed recently at a policy dialogue between the Ministry of Industry and Trade (MoIT) and the EU Delegation to Vietnam on energy sector development and sustainable energy access for remote areas, using European official development assistance (ODA). 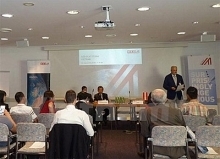 Such annual policy dialogues are scheduled from now until 2020 as part of the Vietnamese government’s commitments to enhance transparency in public finance; improve the efficiency of the electricity sector to ensure stable and reliable supply; attract new investors to the electricity sector, especially for renewable energy development. The Vietnamese government is committed to reducing greenhouse gas emissions by eight percent by 2030 compared with the normal development scenario. The emission cut may be increased to 25 percent if Vietnam receives support from the international community through bilateral and multilateral cooperation. Contributions to the mitigation of greenhouse gas emissions will focus on ensuring energy efficiency and increasing the percentage of renewable energy. As one of the most vulnerable countries to climate change, Vietnam has to cope with considerable energy challenges to maintain socioeconomic development. While the EU’s support cannot directly help Vietnam overcome these challenges, the EU and other development partners can provide it with financial assistance to build a cleaner and more sustainable energy sector. Dialogue participants included Minister of Industry and Trade Tran Tuan Anh, Deputy Minister of Industry and Trade Hoang Quoc Vuong, leaders of the Electricity and Renewable Energy Authority, the Department of Energy Saving and Sustainable Development, the Multilateral Trade Policy Department, the Electricity Regulatory Authority of Vietnam, and representatives of the Ministry of Finance. On the EU side, participants included Ambassador Bruno Angelet, Head of the EU Delegation to Vietnam, and other members. Minister Tran Tuan Anh, Deputy Minister Hoang Quoc Vuong and Ambassador Bruno Angelet discussed ways to promote sustainable energy development in Vietnam, as well as additional EU support for the energy sector. They also talked about public finance reforms and macroeconomic stability in Vietnam. Ambassador Bruno Angelet said the EU was coordinating with Vietnamese ministries and sectors to help the country build a modern, sustainable electricity market and reduce exhaust emissions by shifting from brown energy to green energy. Minister Tran Tuan Anh affirmed Vietnam’s determination to create a competitive electricity market, laying the foundation for sustainable development of the energy sector. 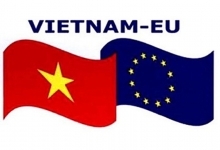 Vietnam will prepare a new master plan for power development until 2020 (Master Plan VIII) to ensure the feasibility of cooperation with the EU, he added. Minister Tran Tuan Anh emphasized Vietnam’s wish to expand international cooperation in energy development for rural and island areas. So far, 99 percent of Vietnam’s population has been provided with access to the national power grid, while one percent still lacks access due to geographical location or specific circumstances. The government is pursuing the goal of providing national power grid access for all people, including residents of remote areas. Minister Tran Tuan Anh described the technical assistance provided for connecting renewable energy systems to the national power grid. 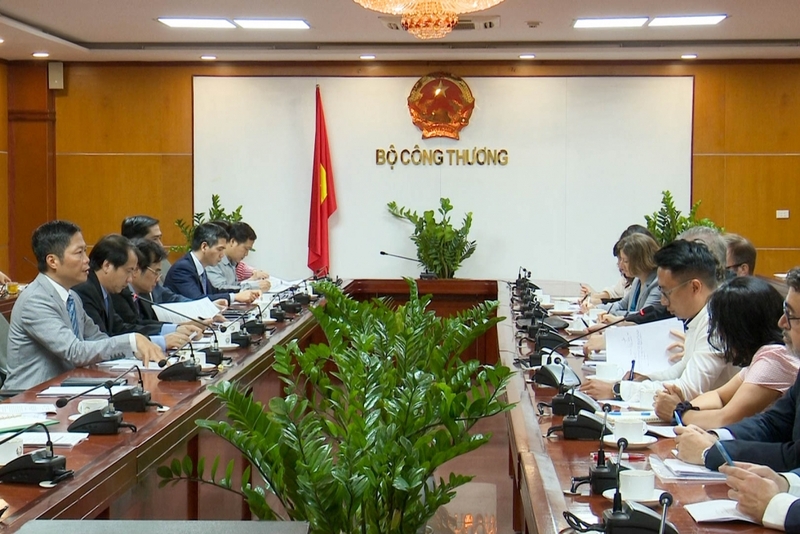 He said Vietnam has great potential to develop renewable energy resources in localities, such as Binh Thuan, Ninh Thuan, Dak Lak, Tay Ninh and Khanh Hoa, but it lacks experience in connecting renewable energy systems to the national power grid. Therefore, the minister added, Vietnam very much needs the EU’s support in this field. Vietnam gives priority to ensuring energy efficiency, looking towards sustainable use of green energy, and the Law on Economical and Efficient Use of Energy has had positive impacts on the economy, he said. Minister Tran Tuan Anh said the experience of Vietnam and many other countries shows that public information plays a very important role in ensuring positive effects of policies. 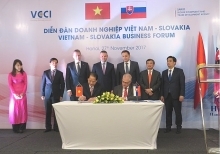 Therefore, he emphasized the necessity of intensifying the spread of public information about Vietnam’s cooperation with the EU in energy development. Deputy Minister Hoang Quoc Vuong affirmed the Vietnamese energy sector needs international support to develop in an effective and sustainable manner. He expressed hope that together with the Asian Development Bank, the EU will provide Vietnam with financial assistance for green energy development.